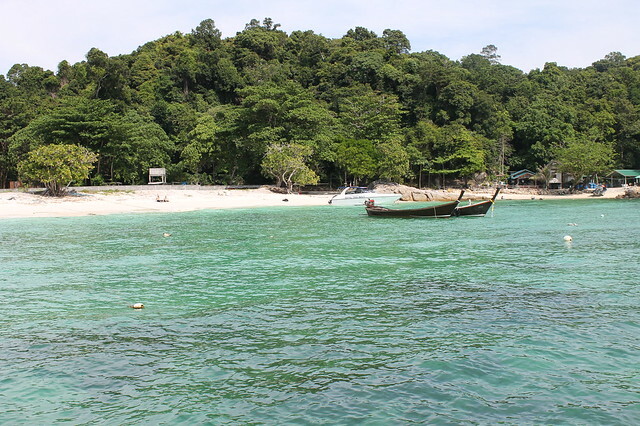 I first heard about Ko Lipe at the end of 2010 when my colleague was went there for week during Christmas / New Year. His report to me was ‘YOU MUST GO THERE’. It was so good he went there again for the same period last year. 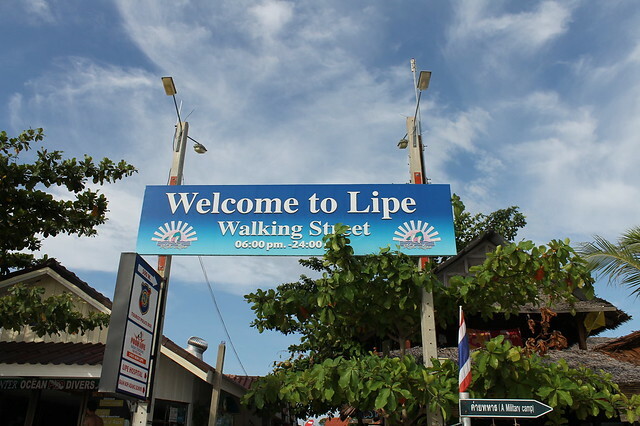 To be honest, if not for him i would have never have heard of this place, and most people i meet haven’t no clue where Ko Lipe is either. 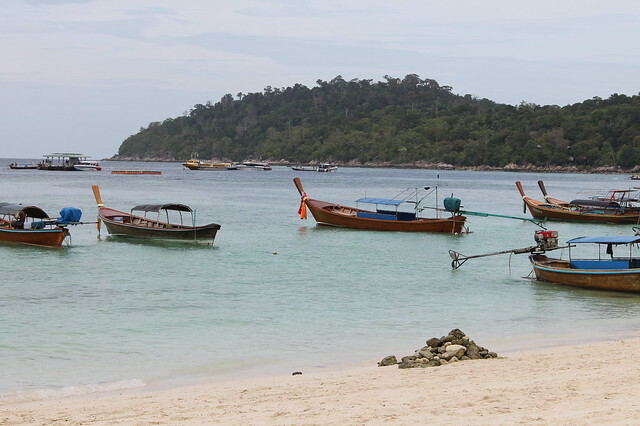 Well, basically, Ko Lipe (‘Paper Island’) is a tiny paradise island in the Andaman Sea in Southern Thailand. 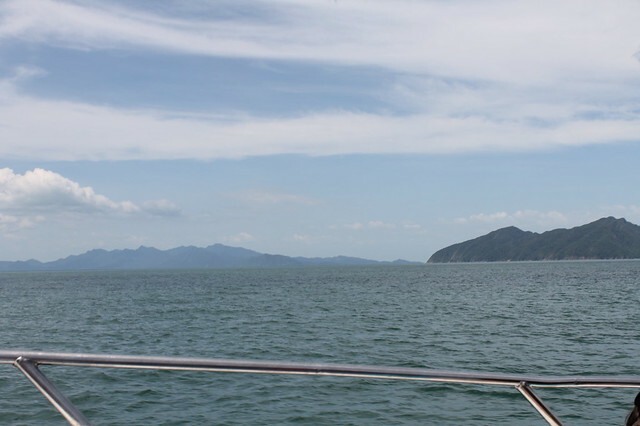 To get there you can take a 1-hour speed boat from either Langkawi or Mainland Thailand. How small is the island? Very small. Takes about 5-10 mins to walk across. 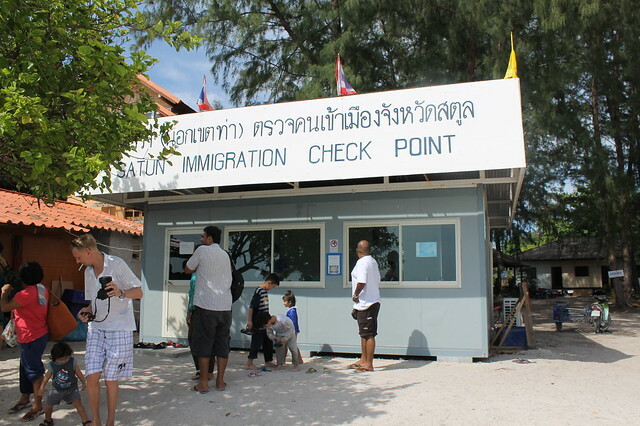 When the speed boat arrives, a guy opens an immigration shack to stamp your passports. On the island there are no roads, no cars, no banks (an ATM was introduced just a few months ago) and intermittent electricity. 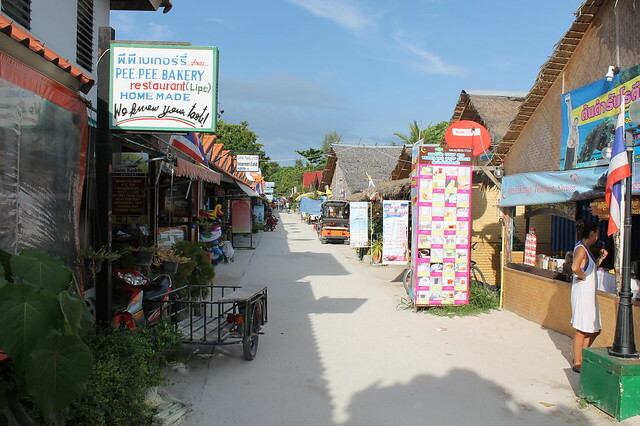 Originally inhabited by the Chao-lei (sea gypsies), now the island is home to one walking street with shops and restaurants, about 20+ resorts (ranging from huts to 4-star resorts), and the villagers, and thats about it. Most of the tourists here are Europeans. I saw some groups of Malaysian and Thai families, but I would say 95% of holiday-makers here are whites. According to my colleague, some of them spend 3-4 months living here, reading, writing a book, or just living the dream life. So our journey started with good old AirAsia from LCCT to Langkawi. At this point I still had AirAsia in good stead (more on this at the end of my trip). We had lunch at the Airport (no McDonald’s!!! 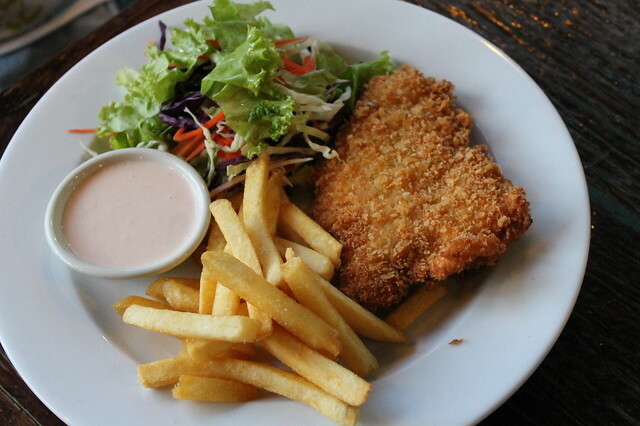 So we had to eat Marrybrown) and straight off to Telaga Harbour. 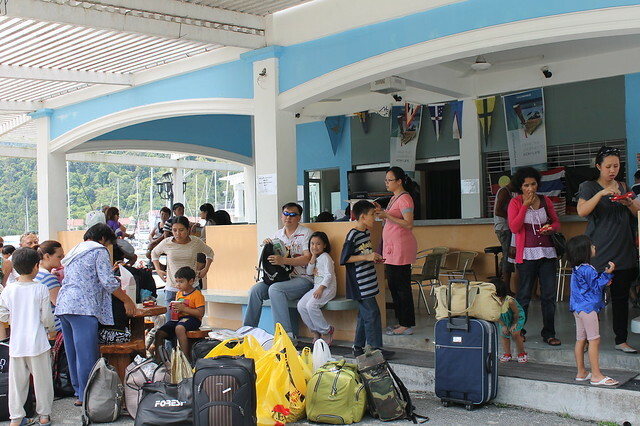 Telaga Harbour is nice and all, but why couldn’t they make the waiting area bigger and indoors? 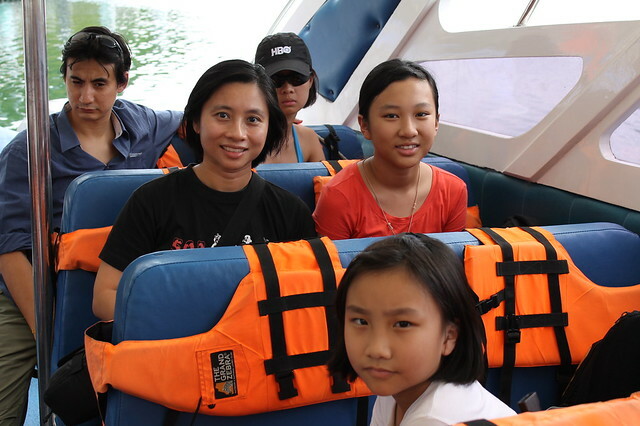 The speedboat was delayed 40 minutes so we had to wait in the sweltering midday heat. Aaaaand finally we were off. Takes an hour from Lgk to Lipe. 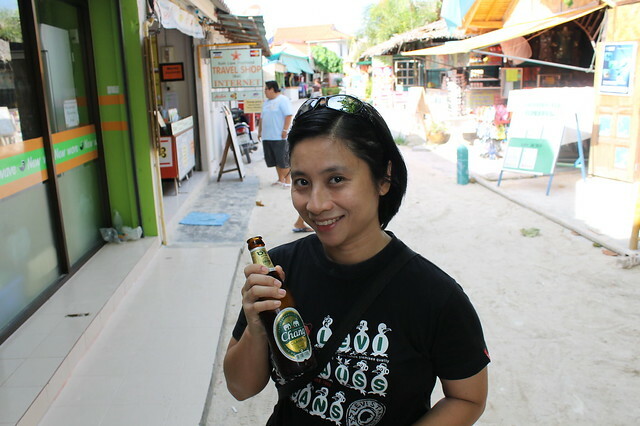 Here we are at Ko Lipe. 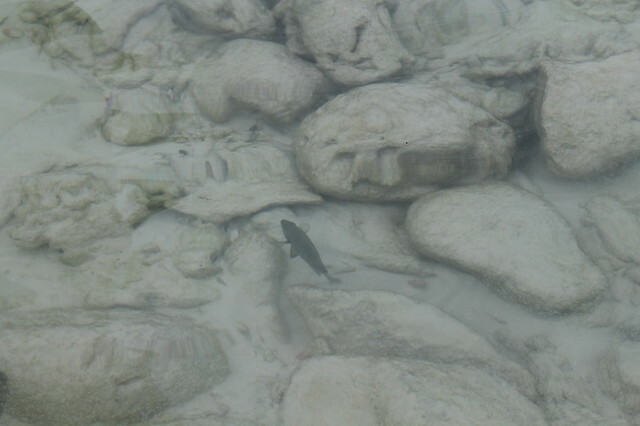 The first thing that strikes you is the crystal clear waters and clean beaches. 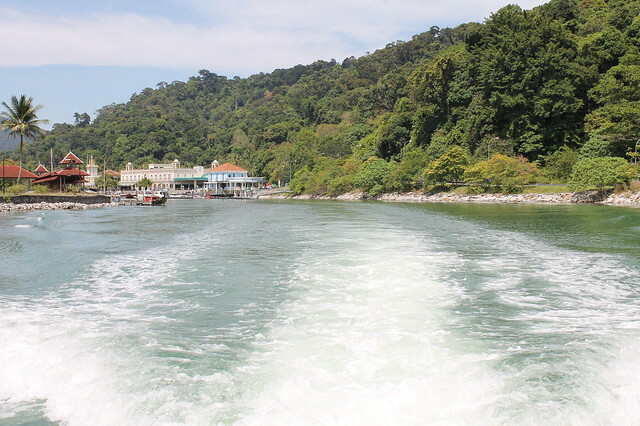 There isn’t a jetty anywhere on the island, but the ferry will come right to the beach if the tide is high. if not they’ll ferry you with longtail boats. 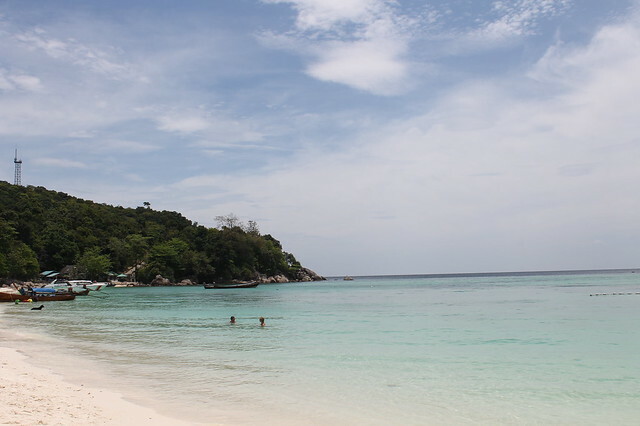 Right there I learnt my first Ko Lipe lesson – don’t wear long pants or shoes. you’ll need to jump into the water and walk the last 1 meter in ankle high sea. When you arrive, an immigration guy will in a shack will stamp your passport, and then you’re free to enjoy! 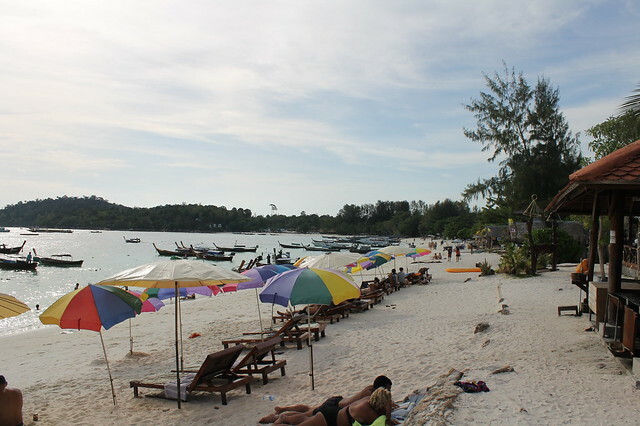 Bundhaya / Pattaya beach, one of the 3 main beaches on the island. This is the most popular and beautiful one. 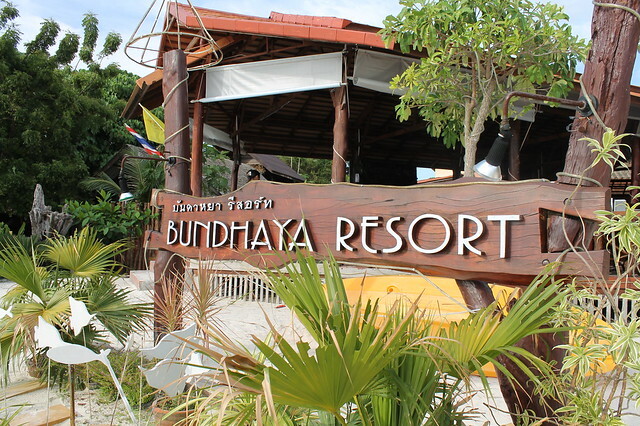 We stayed at Bundhaya Resort, conveniently located next to immigration. It’s the only place that has a cheap family room. Plus it has air-conditioning. 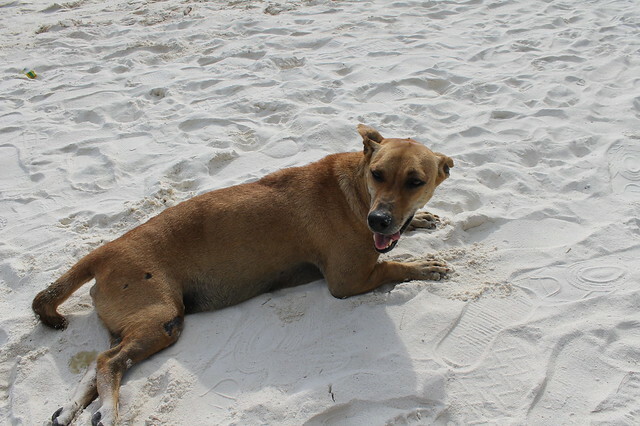 One of the many friendly locals enjoy the sun and beach. After checking in we took a walk down to the only pedestrian street on the Island, aptly named Walking Street. 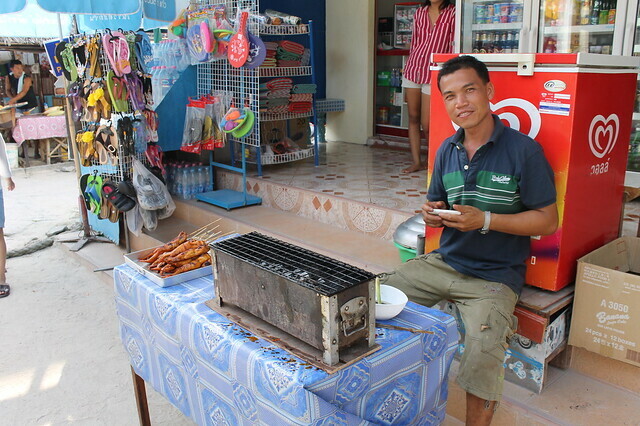 The are many local and foreign restaurants, a few convenience stores, a pharmacy, internet stations, and diving shops. We walked all the way to the other end of the island to Sunrise Beach. 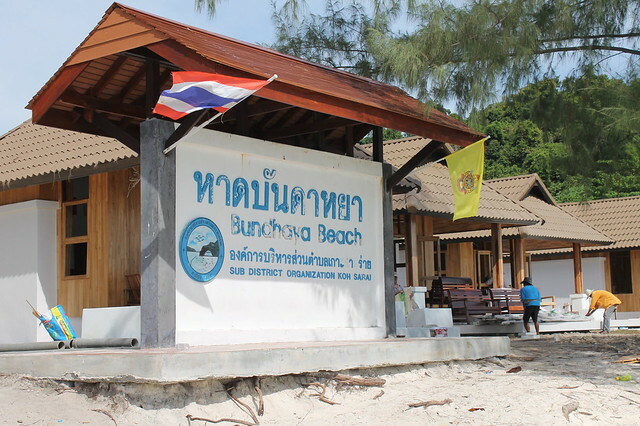 This the longest stretch of beach on the island, a little quieter compared to Pattaya Beach. But facing east, the afternoons are shaded here. 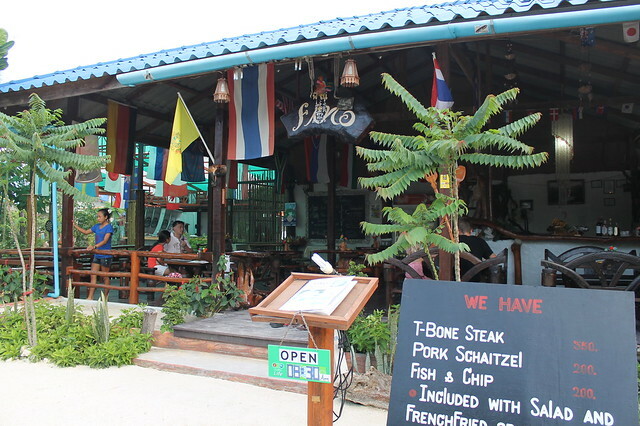 On the way back we stopped for our first meal in Lipe – Dinner at Fino’s. Due to the low density of tourists here, even at peak season all the restaurants and beaches are not crowded. 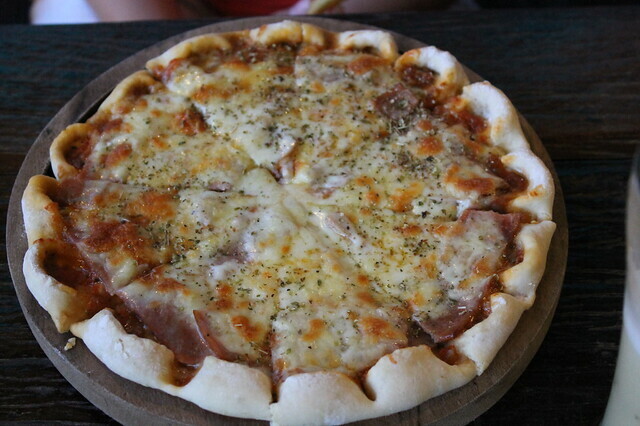 Fino’s serves great Italian food. But a word of advice tho. 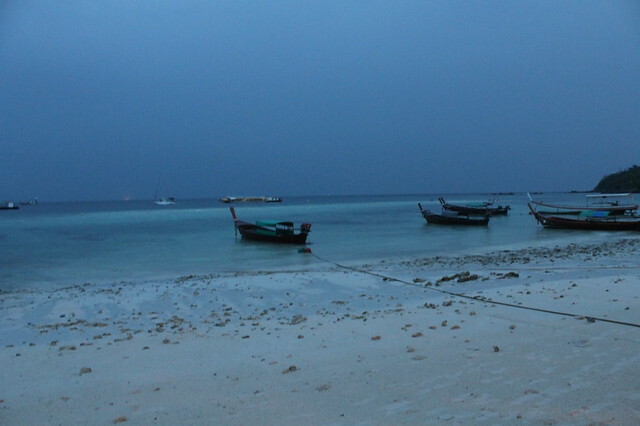 Bring mosquito repellant everywhere on Lipe. The mozzies here are HUGE. and their bite itches like crazy. It was dark when we walked back to the resort. 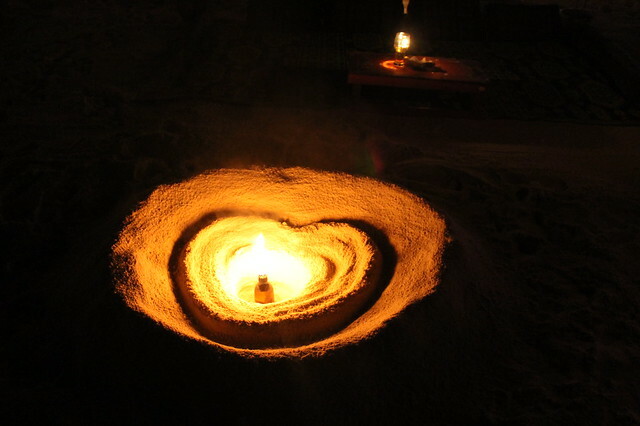 At night the seafront restaurants start up some fresh seafood grill, and the bars lay mats on the sand for patrons to lie and drink beer while enjoying the seabreeze. Very cool. End of our first of five days here on Paradise. To be continued.